Durleigh Parish council has six members, who are supported by a Clerk, who has administrative and financial responsibility for its activities. The Council meets bi-monthly by kind permission of Wessex Water at their offices at Durleigh Reservoir. It represents the parish electorate to the higher authorities: Sedgemoor District Council, and Somerset County Council. It is a statutory consultee on all matters concerning the Town and Country Planning Acts. In addition it is empowered to provide local facilities and services, the cost of which can be met from council tax. 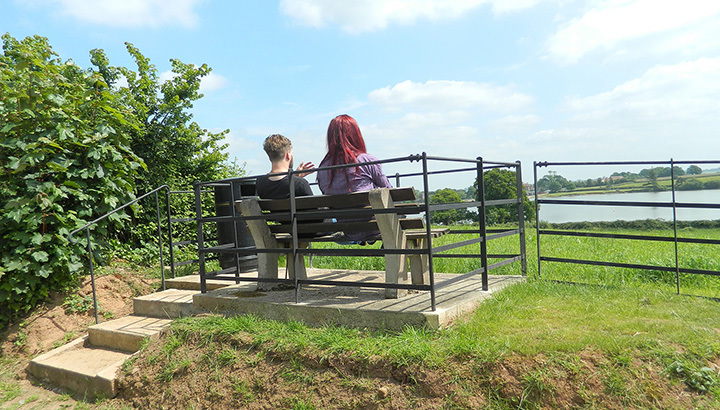 Recent investments have been to improve Queenswood Lane and to enhance the Observation Platform over the Durleigh Reservoir in West Bower Lane. The Parish Council monitors the impact of traffic and transport within the Parish, checks the state of footpaths, signs, and rights of way, reporting to Somerset County Council. It provides information to local people through this web-site and the new notice-board at the east end of Luxborough Road (near the junction with Mayfield Drive). It is also enabled to offer support to local community initiatives, provided they are of proven benefit to a significant proportion of residents in the parish. The Parish Council works closely with local authorities but also may interact with other agencies such as the Quantock AONB, Wessex Water, the Environment Agency and local Police. The Parish Council monitors the impact of traffic and transport within the Parish, checks the state of footpaths, signs and rights of way and reports to Somerset County Council. It provides information to local people through this web-site and the new notice-board at the east end of Luxborough Road and can offer support to community initiatives. Durleigh means “the wood frequented by deer” and the original settlement was undoubtedly a Saxon clearing in the wood to establish a farmstead. By Domesday Book it was a well rooted small community held before the Norman Conquest by a Saxon Thane called Alfsi. It was awarded by King William to Ansger Fower (the fowler?) with Chilton Trinity and other small holdings. The manor contained land for 3 ploughs and supported 4 villagers, 2 small holders and 3 slaves and was worth 20 shillings. A small manorial holding with West Bower and Rexworthy as separate manors within the Parish. Rexworthy an ancient moated manor site being the worthy or fortified farmstead of the king. It was gifted by William the Conqueror to one of his powerful supporters Roger of Courceulles who let it to a Norman Knight, Roger who replaced Cedric the Saxon Thane. West Bower Manor has always had an importance that belies its size being owned, with Bridgwater, by Walscin (Walter) of Douai who added his name to the simple settlement of Bruges. It was a separate entity to Durleigh until relatively recent times and was associated with Wembdon and the Cocker family of Cockerhurst. The present building is just a fragment of what would have been a magnificent late Fifteenth Century gatehouse to a large courtyard manor which extended southwards under the present reservoir. 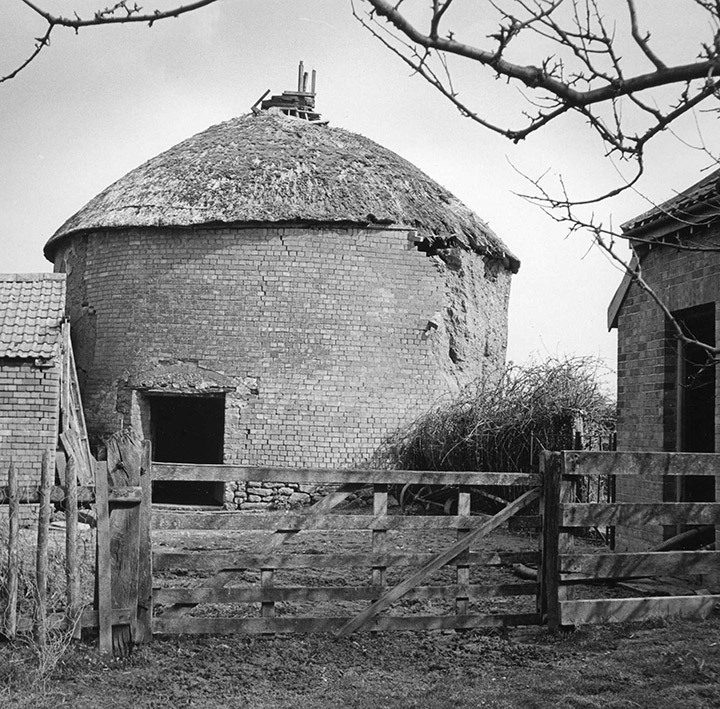 The other surviving building is a Seventeenth Century farmhouse annex and alongside was a rare circular dovecote with thatched roof and perches for 745 birds. 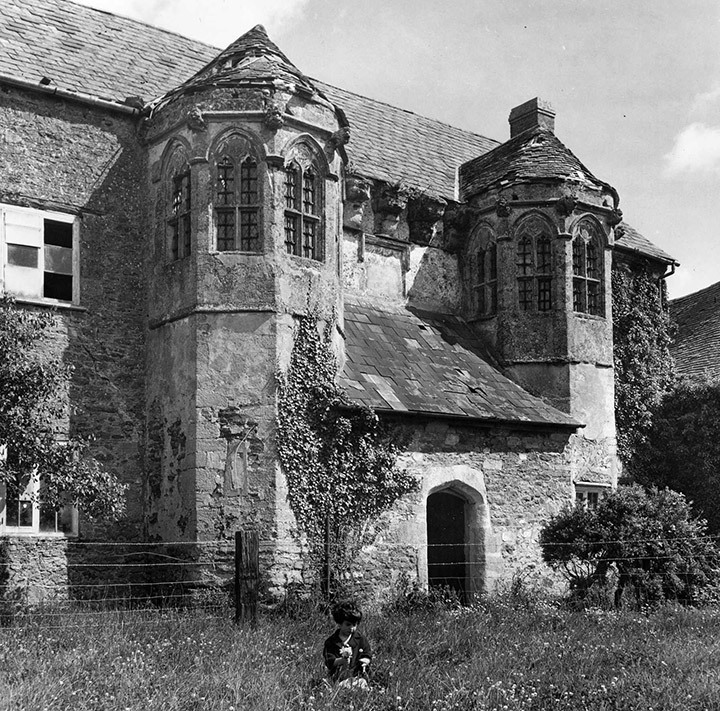 This structure remained extant until 1967 when it was demolished. When the reservoir levels are very low in drought years the remains of the ancient Holloway and a bridge over the subsumed Durleigh Brook was be seem leading to the Manor House. The manor has links to notable historic events and personages. In the later Fifteenth Century it passed by marriage to a Cocker heiress to Sir Alexander Hody, Serjeant at Law. Hody was a follower of the Lancastrian cause and after being Knighted for bravery at the siege of Wakefield followed his patron the Duke of Somerset to Towton. This proved a decisive battle in favour of the Yorkists and Alexander and his master where executed for treason. It does not seem to affected the family fortunes because, rising from a peasant Hayward Adam from Woolavington, they rose to becoming Lord Chief Justices and Chancellors and had their main residence at nearby Gothelney Hall. In the Tudor period the manor was owned by the Seymour family whose most famous son Edward became Lord protector to Edward VI until executed for treason in 1553. The legend that Jane Seymour the favourite wife of Henry VIII was born here is discounted by historians as it was one of their smaller west country estates. The Church, according to Sir Nicholas Pevsner, of Norman Twelfth Century origin and may have been a chapel servicing a hunting lodge in the Royal Hunting Forest of North Petherton on whose northern perimeter it stands. The Chancel was rebuilt in the Thirteenth Century and in the early Fourteenth Century new windows and a tower with a distinctive saddleback tower added. The “living” was owned by the Hospital of St. John in Bridgwater until the Reformation in 1536. The graveyard contains monuments to many well-known local families. The ancient route from Bridgwater westwards, long before the A39, encircled Durleigh Farm and Church, ran under the now reservoir and emerged to roughly follow the line of the Enmore Road. However, original this ran past Enmore old village and church until re-aligned in the Eighteenth Century by lord Rochester to avoid travellers passing too close to his stately pile of Enmore Castle. In 1938 the Bridgwater Town corporation purchased the manor of West Bower from Lord Wharton of Haswell House at Goathurst in order to construct a new reservoir to provide water for the town and the newly opened British Cellophane factory which provide the bulk of the town’s employment for over 60 years. The old mill became the home to the reservoir warden and a new operational building was built in an iconic modernist style echoed in that of the 2 Bridgwater Grammar Schools of the same period. Durleigh brook had provided energy for 1000 years to mills at Encore, Seaworthy, Durleigh and the Lytle Mill in Bridgwater and formed the southern boundary of medieval Bridgwater. Now the brook provides water for the district and the reservoir as an important leisure facility for sailors, anglers and birdwatchers.